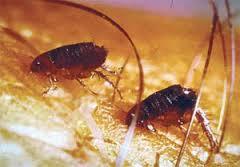 Complete Pest Management (CPM) of Myrtle Beach will rid your home of those pesky fleas. You will be happy and your pets will also be happy. Get a FAST & FREE Estimate! What city or town do you live in? Looking for Myrtle Beach Exterminators & Pest Control? You Found US!